Winter is closing in which means your favourite skin revealing ensembles are swapped for thick woollies. But that doesn’t mean you can let your body beauty regime slide. 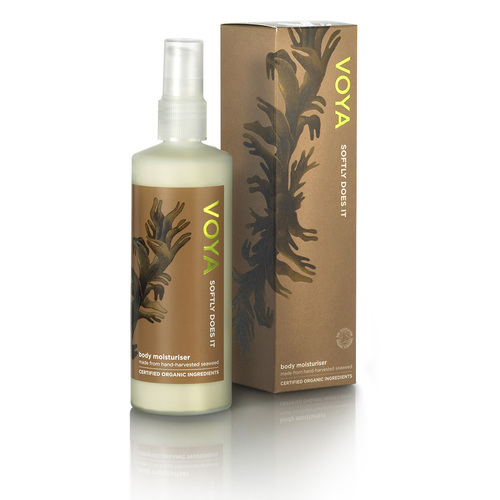 Treat the skin on your body as you would your face by nourishing and preserving it with VOYA’s Softly Does It Body Moisturiser. An organic silky blend of skin softening and rejuvenating ingredients like nutrient rich wild seaweed, shea butter and avocado oil, Softly Does It is blissfully whisked together with organic essential oils to awaken the mind like sweet basil oil, clove bud oil and lemon peel oil. This luxurious cream fusion melts into the skin, drenching every inch in long lasting moisture, leaving your body deliciously smooth to the touch with a heavenly scent that lingers.